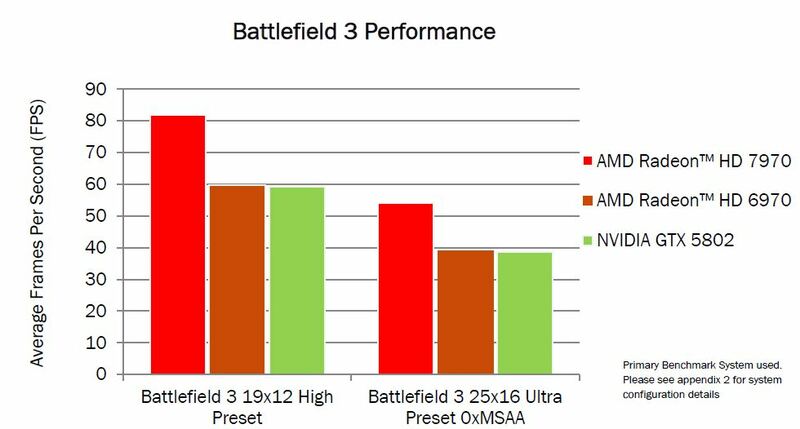 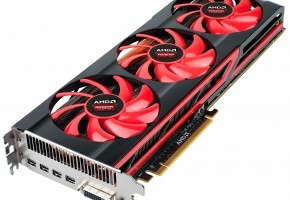 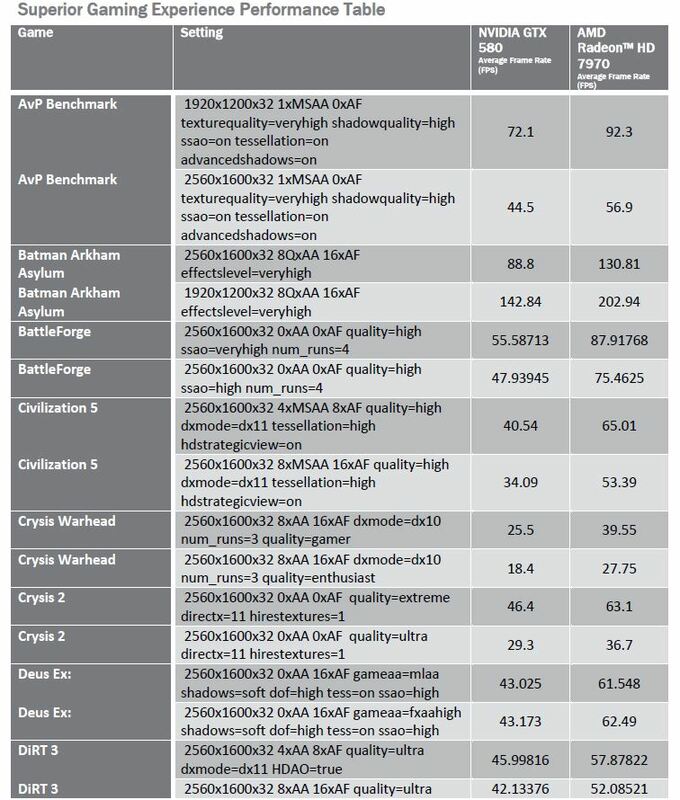 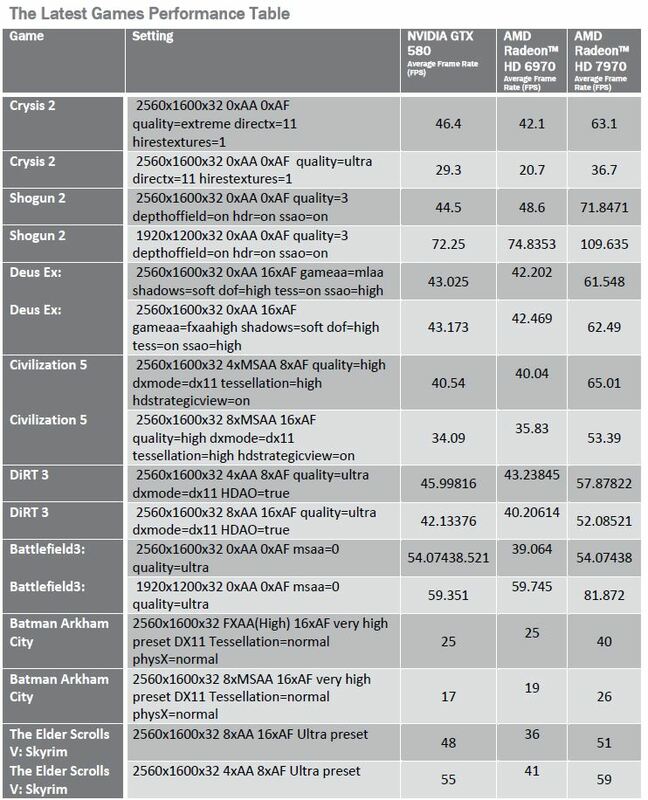 What we’ve found is AMD’s Review Guide for people testing new Radeon. 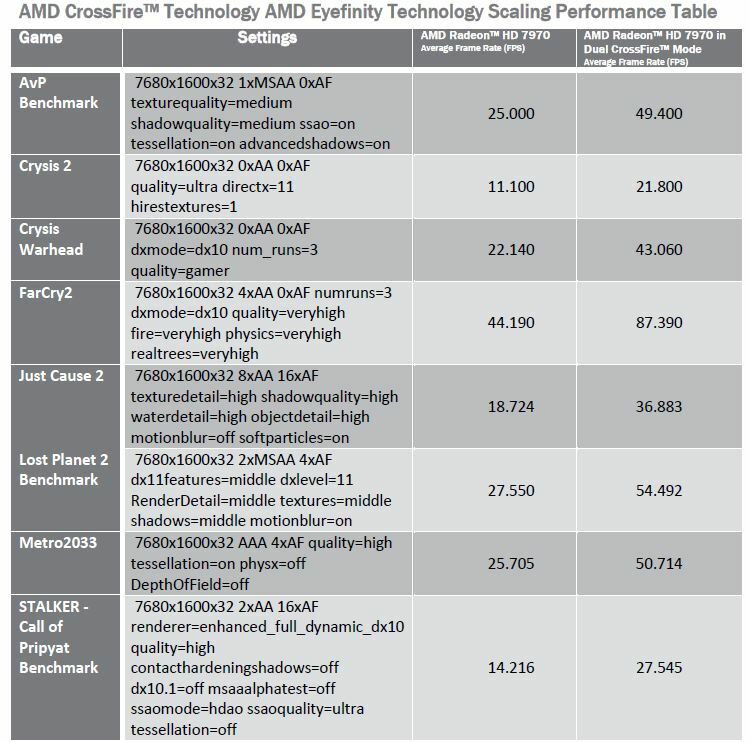 It is a guide with various benchmarks results for comparision during testing and reviewing. 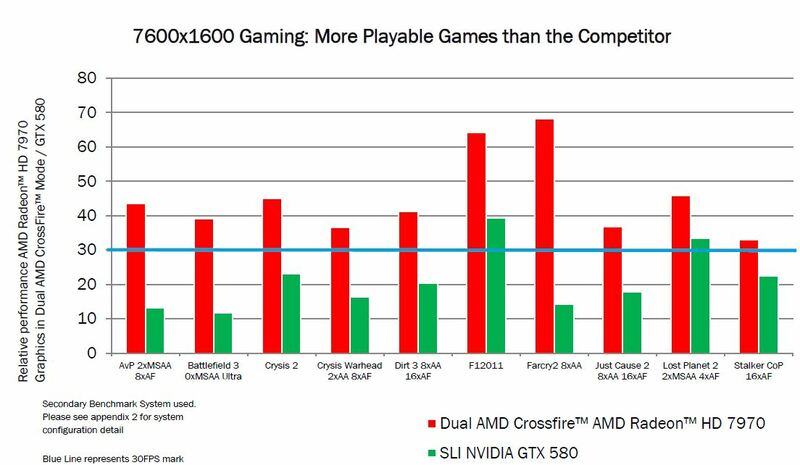 We thought it is worth sharing it with you. 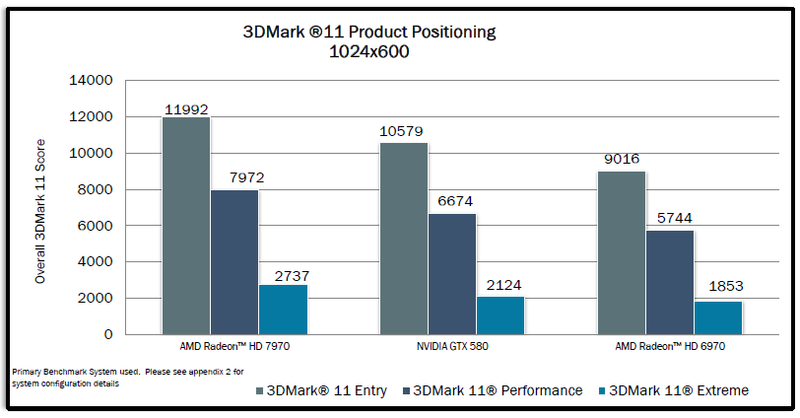 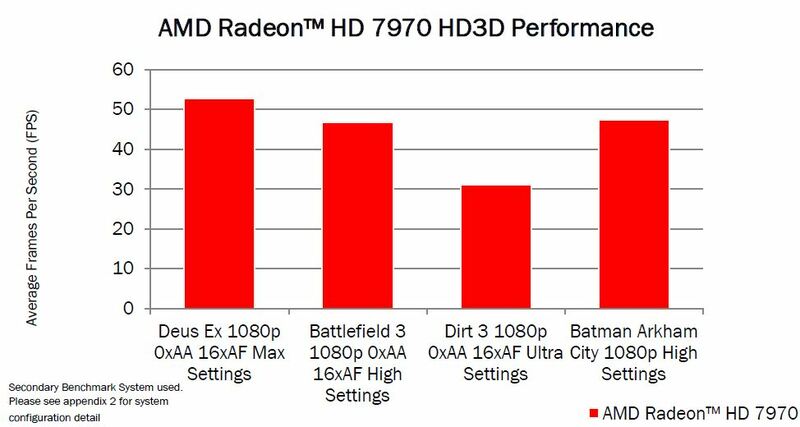 Please note, these benchmarks do not represent the final product. 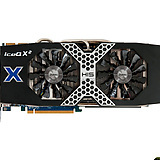 The comparision test was taken with 1024×600 resolution. 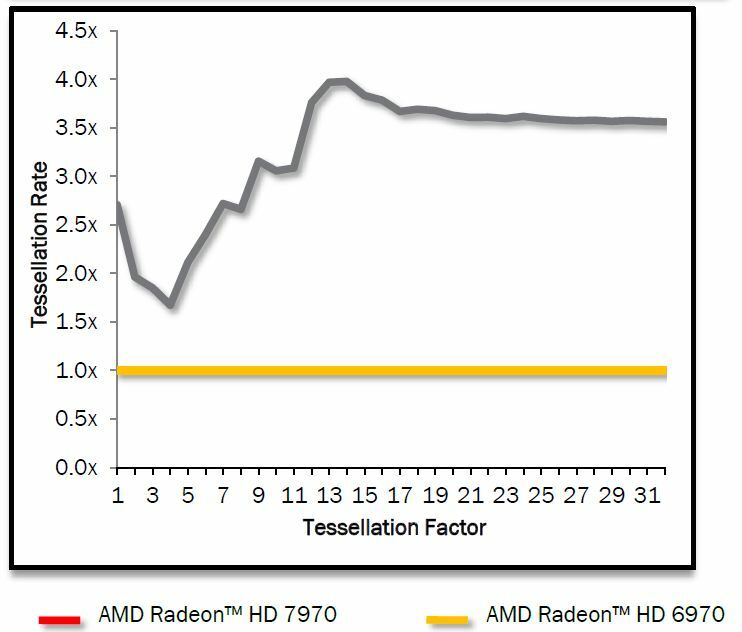 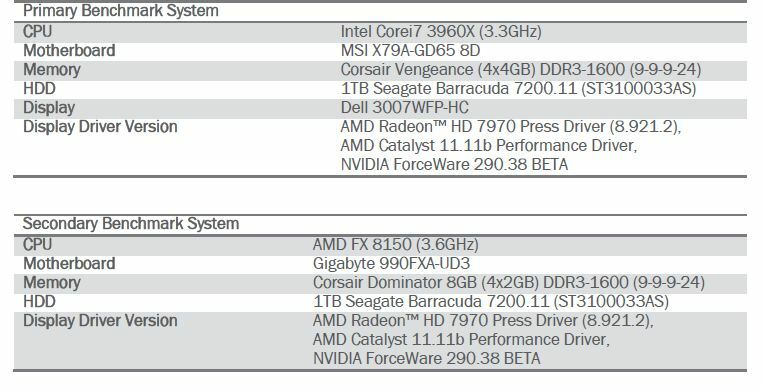 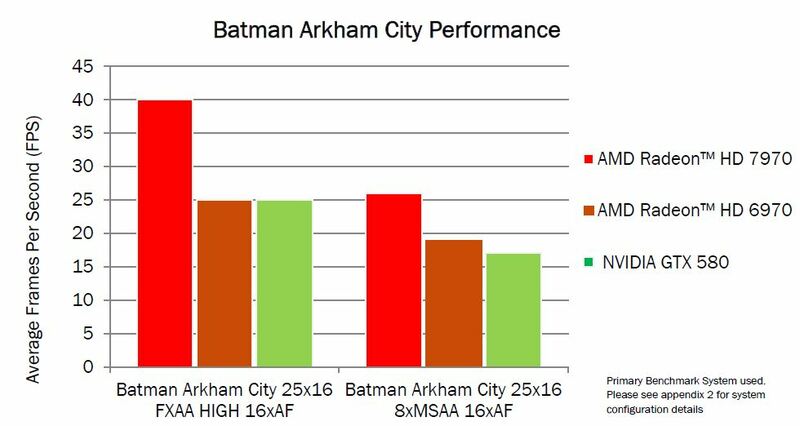 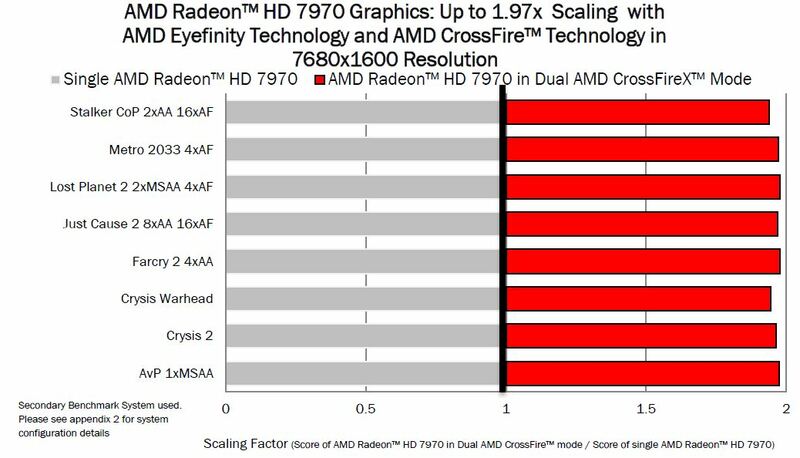 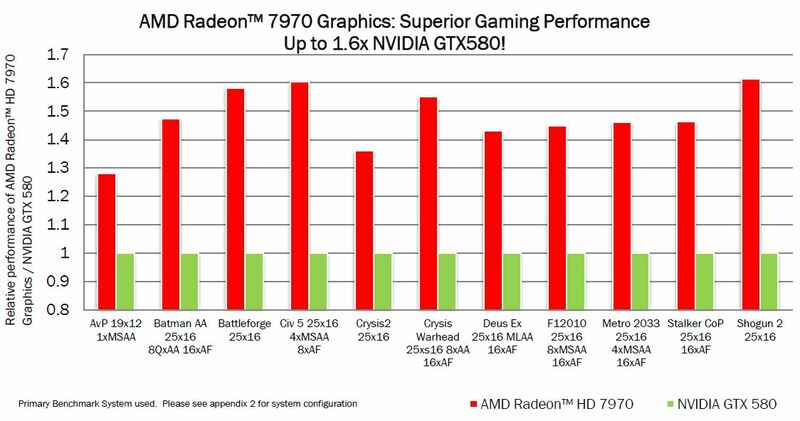 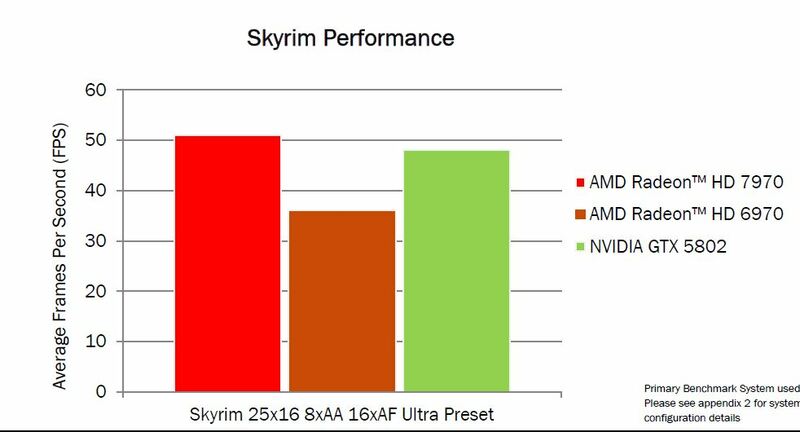 As the graphic suggest AMD Radeon HD 7970 would be 12% faster in Entry setup, 16% faster in Performance benchmark and 22% faster than GeForce GTX 580 in Extreme setup. 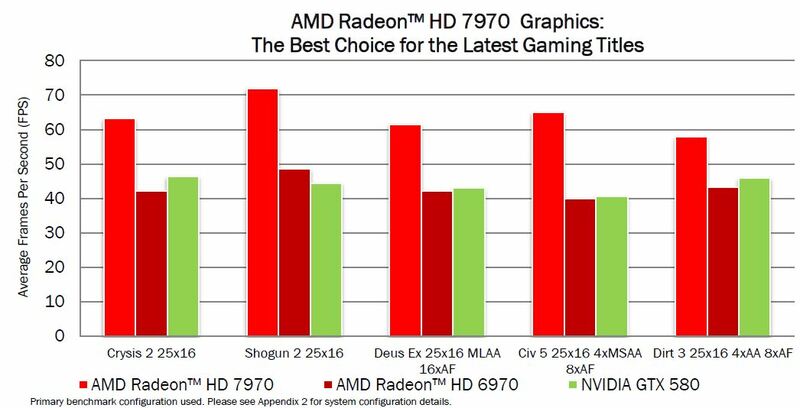 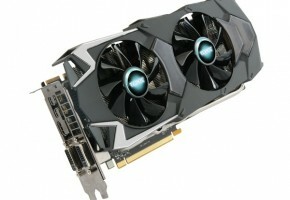 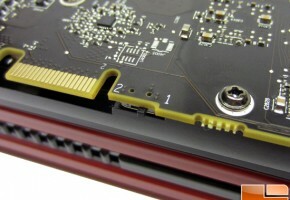 AMD Radeon HD 7970 is 25-32% faster than previous generation (HD6970). 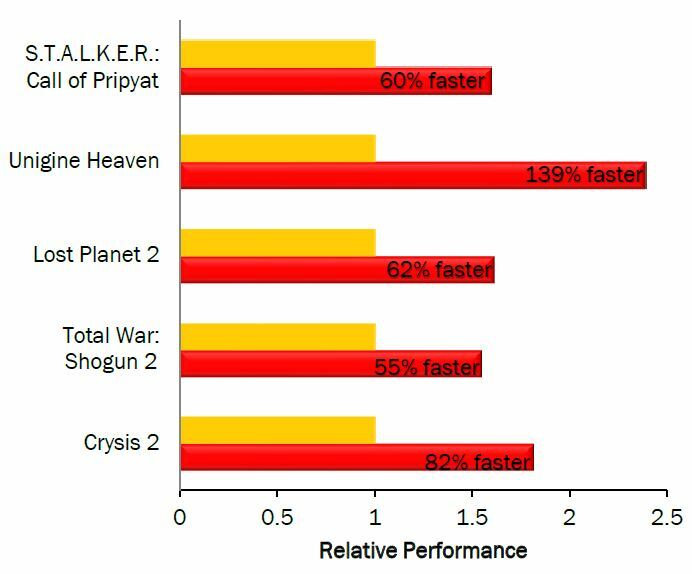 Benchmark was committed with FRAPS. 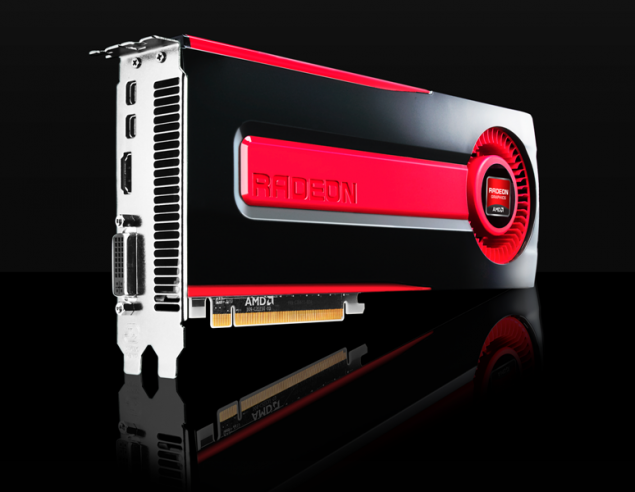 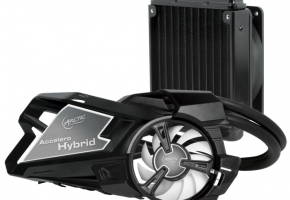 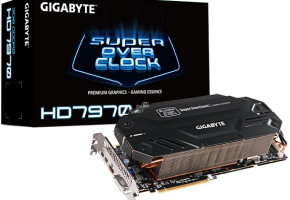 We can see a great boost of performance with the newest Radeon. 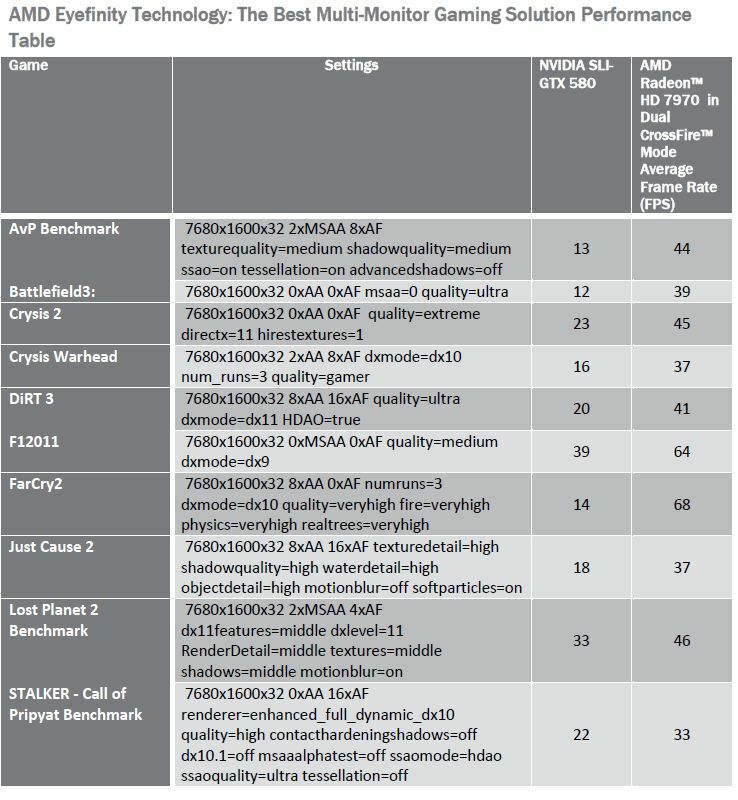 It is important that benchmark was done with high resolution up to 2560×1600. 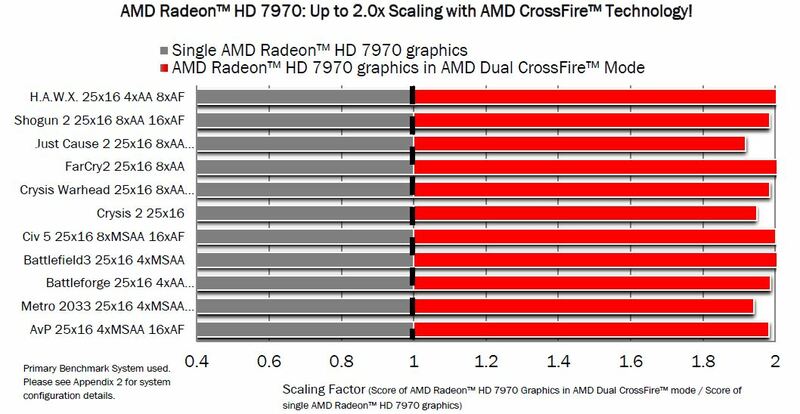 As you can see, Radeon HD 7970 will boost your framerate up to 2.0x while running in CrossFire mode.